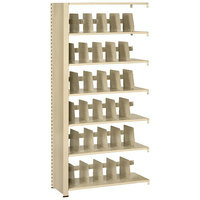 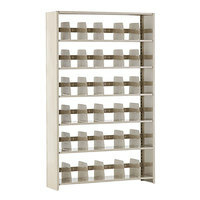 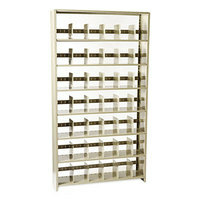 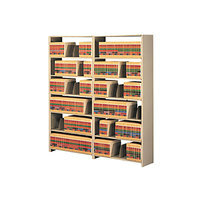 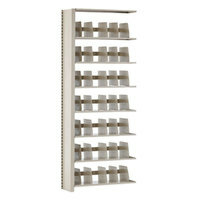 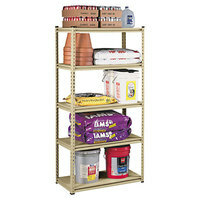 Tennsco 127648ACSD Snap-Together Sand 6 Shelf Closed Add-On Unit - 48" x 12" x 76"
Tennsco 127648PCSD Snap-Together Sand 6 Shelf Closed Starter Set - 48" x 12" x 76"
Tennsco 1276ACSD Snap-Together Sand Six-Shelf Steel Closed Add-On Unit - 36" x 12" x 76"
Tennsco 1276PCSD Snap-Together Sand 6 Shelf Starter Set - 36" x 12" x 76"
Tennsco 128848PCSD Snap-Together Sand 6 Shelf Closed Starter Set - 48" x 12" x 88"
Tennsco 1288ACSD Snap-Together Sand 6 Shelf Closed Add-On Unit - 36" x 12" x 88"
Tennsco ESPC1836MGY Medium Gray 4 Shelf Closed Commercial Steel Shelving - 36" x 18" x 75"
Tennsco ESPC61836MGY Medium Gray 5 Shelf Closed Commercial Steel Shelving - 36" x 18" x 75"
Tennsco LSS361872 Stur-D-Stor 5 Shelf Shelving 36" x 18" x 72"
Tennsco LSS482484 Stur-D-Stor 5 Shelf Shelving 48" x 24" x 84"
Tennsco ESPC1236MGY Medium Gray Steel 5 Shelf Closed Commercial Shelving - 36" x 12" x 75"
Tennsco ESPC2436MGY Medium Gray Steel 5 Shelf Closed Commercial Shelving - 36" x 24" x 75"
Tennsco ESPC61236MGY Medium Gray Steel 6 Shelf Closed Commercial Shelving - 36" x 12" x 75"
Tennsco ESPC62436MGY Medium Gray Steel 6 Shelf Closed Commercial Shelving - 36" x 24" x 75"
Maintain a professional appearance in your office or lobby by using office shelves. 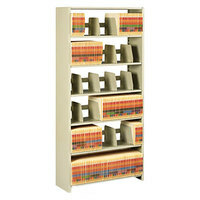 Some of these products are designed to display reading materials, like brochures or magazines, in a visually appealing way. 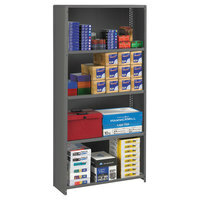 Other shelf styles hold loose papers or file folders stacked on your desk, making it easier for you to find and retrieve the materials you need to complete your work. 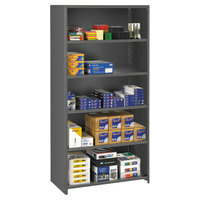 To find other products for your office, check out our printable marketing materials, calendars, and desks. 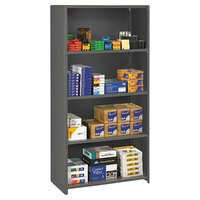 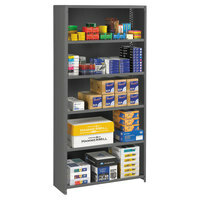 If you're wondering where to buy tennsco office shelving, we have a large selection of tennsco office shelving for sale at the lowest prices.